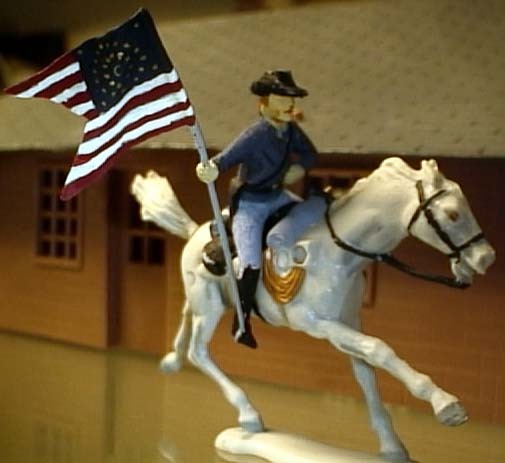 US Cavalrymen by Marutius? 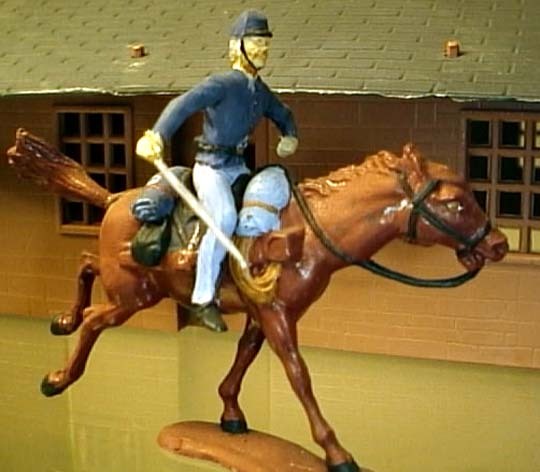 two figures below...Civil War mounted figures in 54mm scale...these might need to be on the oddball page, I have yet to see anymore of them ever. 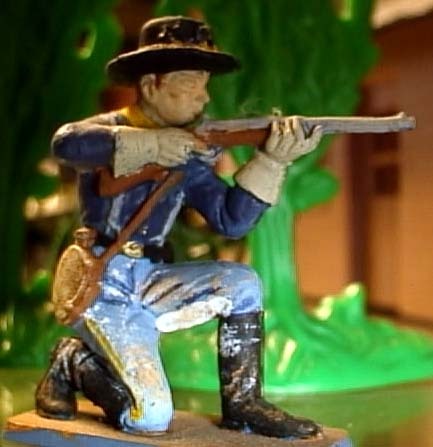 Starlux (France)60mm Cavalrymen...doing what Cav guys actually did, (in spite of what Hollywood says) fighting dismounted. 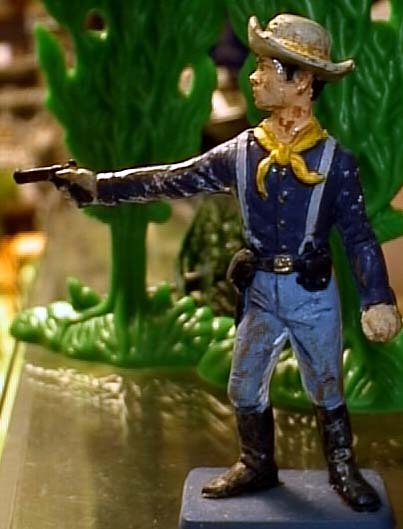 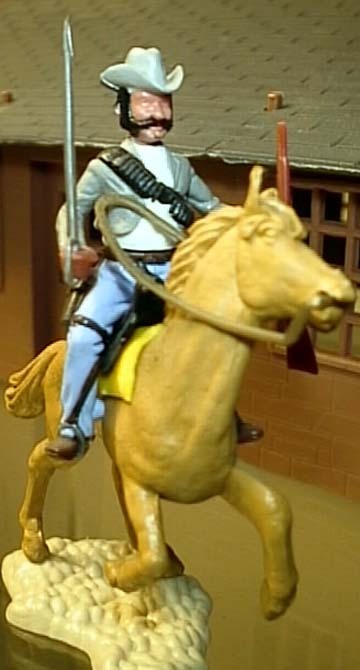 Ask Buford, Custer and Forrest...these guys are painted in Indian War trim...note the canvas reinforced pants...not bad figures...the revolver could use some help.